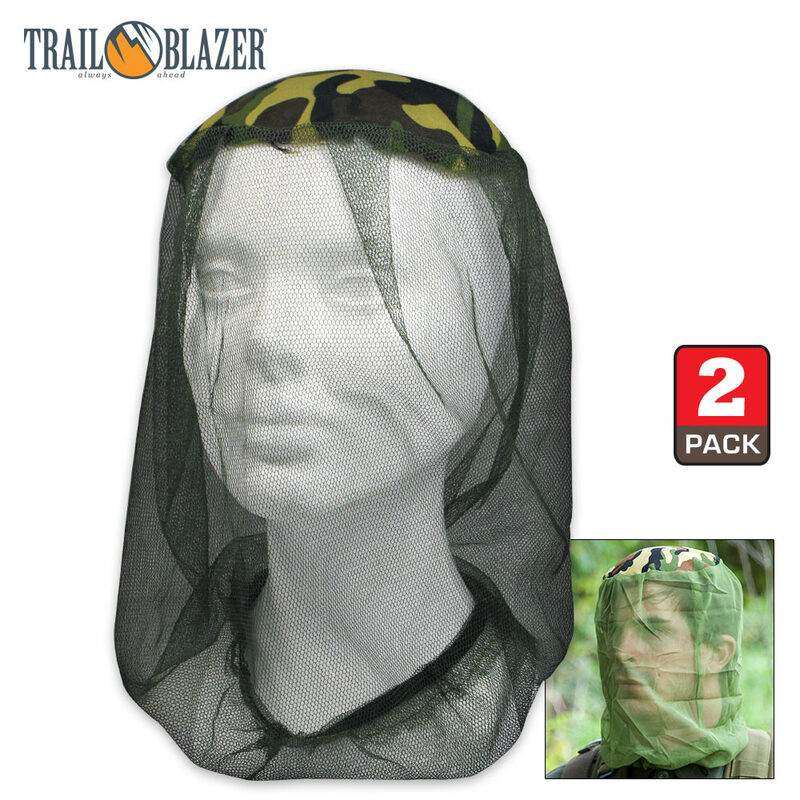 Anti-Zika Mosquito Head-Net and Face Mask - Lightweight With Camouflage Pattern - Pack Of Two | BUDK.com - Knives & Swords At The Lowest Prices! Elastic neck length of 7 7/8"
This jungle spec Anti-Zika Mosquito Head Net is great for camping, hiking, fishing and many more outdoor activities! It could potentially prevent you and your loved ones from suffering from the imminent Zika fever epidemic caused by mosquito bites. It’s constructed of camouflage polyester fiber material, which makes it lightweight. It has an elastic neck length of 7 7/8".